Don’t know what visual aid suits your eye condition? What is a magnifying glass? A magnifying glass is a reading aid for people with a visual impairment. With a magnifying glass, you can read text and view photos with magnification. This helps you to read more easily. 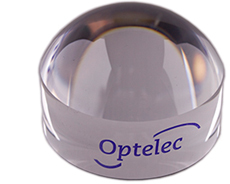 Optelec offers a wide range of magnifying glasses that make reading easier, at home, in the office and on the go. 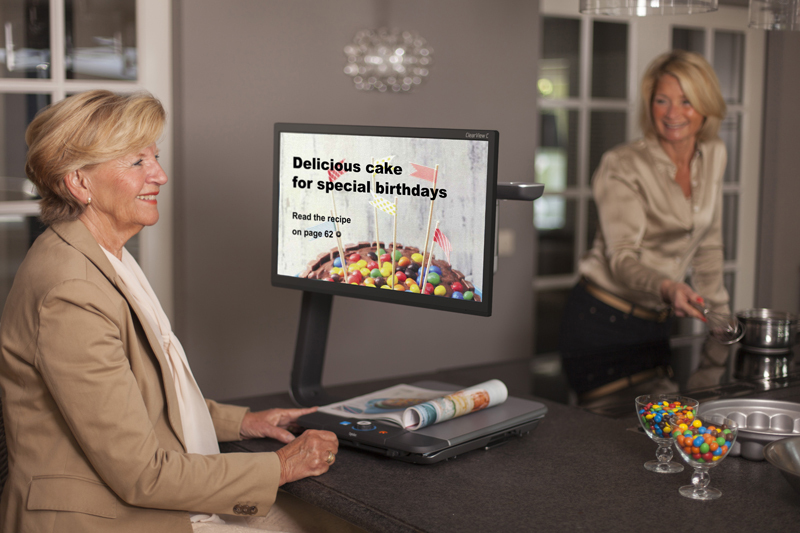 A stand magnifying glass allows people with a visual impairment to read text and view photographs more easily. A stand magnifying glass is useful if you want to read longer passages of text or if you find it difficult to hold a magnifying glass. A stand magnifying glass is designed to sit on the document so that it stays steady at the correct distance away from the subject that you wish to view. 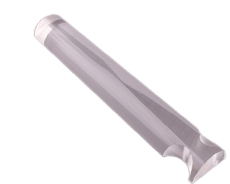 A handheld magnifying glass is ideal to use at home or on the go. Grab the handle and move it over the text or object to view it in magnification. 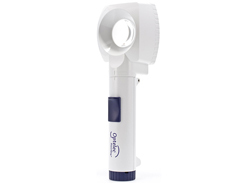 Handheld magnifiers are small and light enough to be carried around and to be used both indoors and outside the home. You can use a handheld magnifying glass to quickly view objects in close proximity. A bar magnifying glass allows people with low vision to read a line of text more easily. 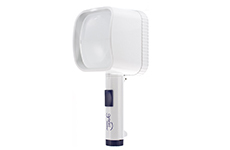 They are ideal for use at home or on the go because they are small and light. Place the bar magnifier on a page to read a line of printed text or handwriting more easily. 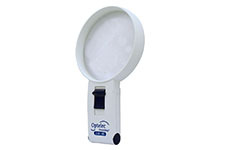 A dome magnifying glass is ideal if you need magnification to read text or view pictures. A dome magnifying glass is round and glides easily over the surface of a book or magazine. It makes reading small print and viewing photographs an easy task. 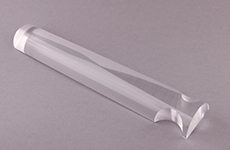 Our magnifying glasses are available with different levels of magnification. The right choice depends on the text size and/or the object you want to view, and your remaining vision. It can be difficult to choose the right level of magnification. For personal advice, please contact the nearest Optelec distributor, or fill in the contact form. How can I get a magnifying glass? 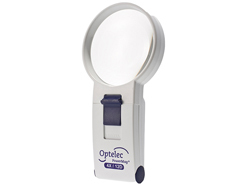 If you want to buy a magnifying glass, please contact the nearest Optelec distributor to place an order, or fill in the contact form.